One of my favorite radios, Now down to business…where can we get your case and what’s in it? 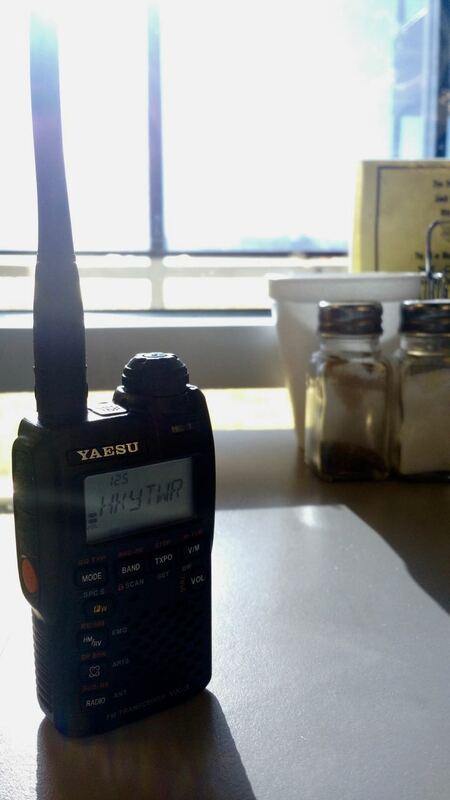 Sure, I use my Yaesu FT-60R handi-talkie to monitor the aircraft AM band. It also covers 2m FM, UHF FM and NOAA Weather. It transmits on 2M and UHF ham bands. My buddy, Eric, has one of those and loves it. Very versatile little HT! I have one. It is a GREAT little radio. I’m surprised Yaesu discontinued it, perhaps there is a replacement in the works? Yes, I’ve heard they do have a replacement in the works, but no clue when it’ll be released. To me, the VX-3R is hard to beat for the price. Occasionally I still check on the NAT, CAR and whatnot nets and I receive HFDL, VDL2 and ACARS including the variety coming in via the AOR Inmarsat aero transponders, and of course ADS-B. If you’re a radio head AND an aviation nut, airband monitoring can easily consume all of the available free time you have, being one of the most complex sub-genres in the radio hobby. I’m all about geeky alarm clocks! Funny, but I’ve often thought aviation monitoring could be quite a rabbit hole. Need to get into ADS-B and ACARS next! That is a neat little HT, but the Kenwood TH-F6A is way more versatile. How? Full 5W on 2m, 222MHz, and 440MHz, and will RX 150KHz to 1.3GHz in AM, FM, FM wide, NBFM, USB, LSB, and CW. All that in a size of a pack of cigs. Yes, it will overload easily, but something that wide banded and this small, I kind of expected that. However, want to hear what your wireless FM innercom sounds like on 175KHz? You can do that. Want to hear what your 222.1MHz transverter sounds like on SSB? You can do that. Need to tune-in to local AM / FM radio when power goes out? You can do that. Want to listen to CB CH19 truckers gripe about traffic conditions? You can do that. Want to listen to aircraft traffic at an air show? You can do that. You want to monitor 6M 50.125MHz USB to hear when that band opens? You can do that. No, it doesn’t have D-Star, DMR, Fusion, or even SW’s DRM, but analog-wise this HT is so versatile, what else is out there like it? It’s a great radio and I now have to delete Radio Australia off it. I am here sitting on the beach in Huatulco listening to marine, hotel staff and what I think is the taxi radio. Small and light it’s a discreet little performer and it’s better value than the similar Standard version that is scanner only in Japan. Take 12 feet of #26 super silky wire on a small connector and u have a compact roll up swl antenna. 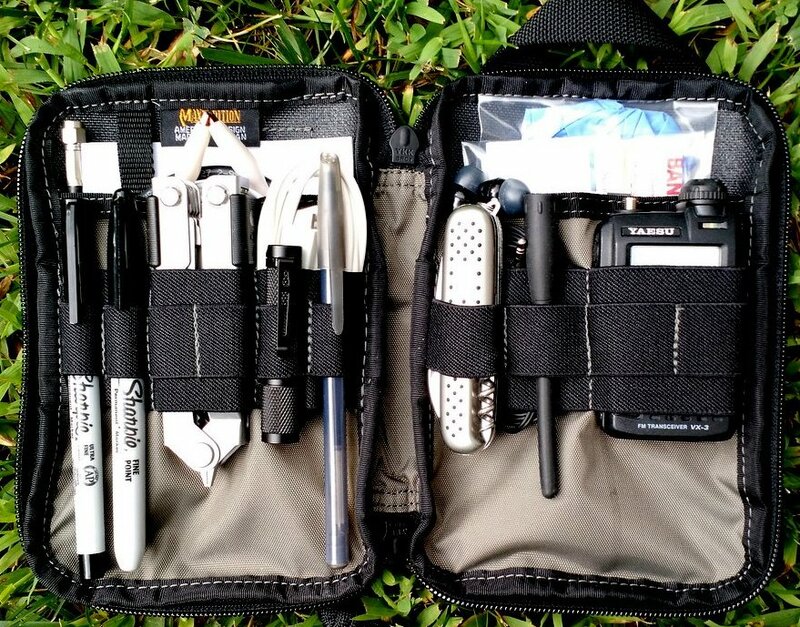 Grab a camera bag at the dollar store and a extra battery and your packing some great radio stuff. Oh yeah I can listen in on the HUX tower when I get to the airport. Very . Highly recomended. Toss a kenwoody Th-f6a into the mix and we may have a battle of the handhelds. I have both so I suggest you do the same. Wait is there room for a Tecsun Pl-380? I agree with your rebuttal on this totally and I suggest and have both radios for my listening pleasure. Many swl and scanner buffs have embraced the f6a radio as a great piece of kit. I’ve heard many good things about the Kenwood TH-F6A–the price of that HT is getting more competitive, too. I may very well grab one in the future, too. My wife has started studying for the ham radio exam. Very likely, this spare VX-3R will become the radio she carries in her purse. Since I already own the RT Systems software, setting this VX-3R will be very easy.